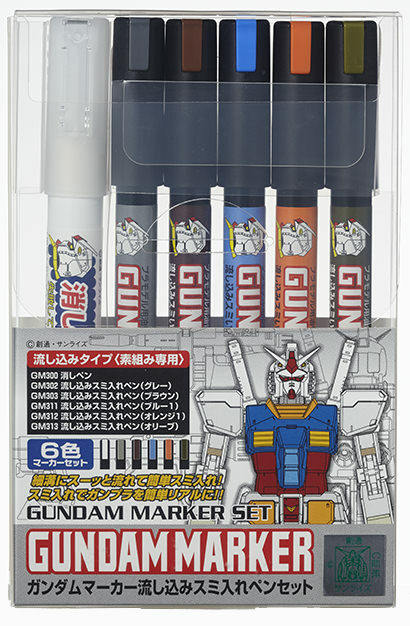 A set of Gundam Marker pouring inking pens, which make inking and doing panel lines easy when you press the pen nib on to an item. 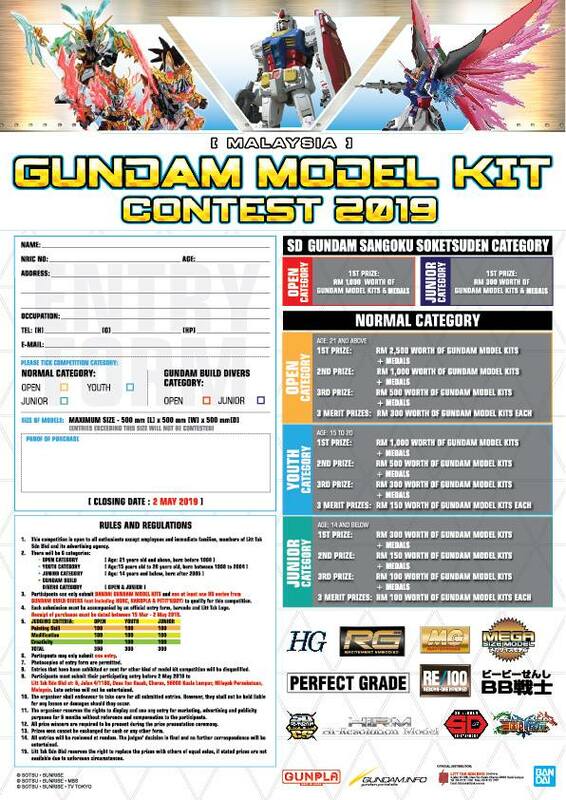 This is a set of 6 pens including 3 new color pens; blue, orange and olive green and an eraser pen in addition to the existing color pens; gray and brown. Do not use the pen to paint over other paint such as Mr. Color. If it is used over other paint, the ink will dissolve base coat.